Poster for Comic Arts Fest 2017. 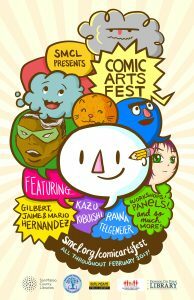 San Mateo County Libraries is bringing back the Comic Arts Fest for February 2017! We’re celebrating the importance of comics, both as an art form and as valid literature, and enabling aspiring artists and readers of all ages through author visits, workshops, and comics-related programs. This year, the Fest is expanding to include Burlingame Libraryopens a new window, Redwood City Libraryopens a new window, San Bruno Libraryopens a new window, and South San Francisco Libraryopens a new window. Meet our lineup of amazing artists/authors and events below! Email Debbie Huey or Jenna Varden if you have any questions. 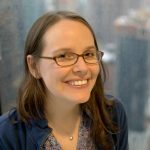 Raina Telgemeier is the author and illustrator of the #1 New York Times bestselling graphic novels Smile, Drama, and Sisters. She also adapted and illustrated graphic novel versions of Ann M. Martin’s Baby-sitters Club series and has received numerous honors for her work, including Eisner Awards, a Boston Globe-Horn Book Honor, and a Stonewall Honor. Her newest graphic novel is Ghosts. Raina lives and works in San Francisco, CA. Aubrey Vora is a catalyst, an explorer and a coach for transformation. She also illustrates Whimsadoodles: coloring pages, and is on a mission to empower humans of all ages to engage their creativity, imagination, and playful courage as they navigate Life. Learn more at www.whimsadoodles.comopens a new window and www.curiosapiens.comopens a new window. A comic book, visual artist, and high school teacher, based in the Bay Area. 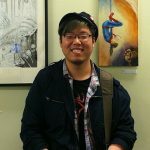 Pham illustrated Gene Luen Yang's Level Up and his own food review comic strip, I Like Eating, which was syndicated in the East Bay Express. His first solo work, Sumo, is a poetic tale of a washed-up football player turned sumo wrestler. Liz Mayorga is a working class artist from Southeast Los Angeles whose DIY art was shaped by the Punk and Hip Hop movements. Liz is an organizer of the San Francisco Zine Fest, and has self-published her stories and comics of class and identity, popular culture and horror as zines. 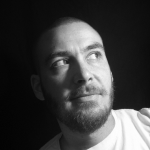 Tyler Cohen lives in San Francisco and works as a freelance artist, teacher, and designer. Her collection of art-comics Primahood: Magenta is a journalistic dip into words and ideas that explores femaleness and combines autobiography and surrealism. Shaenon Garrity is a webcomics writer and artist, best known as the creator of Narbonic. 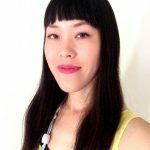 She was an editor for Viz Media, working on over 20 manga series including Naruto, One Piece, Inuyasha, and Case Closed. The presentation will feature a discussion of the experiences, research methods, and process that inform author-artist T. Edward Bak's work. Island of Memory, his first volume of WILD MAN – The Natural History of Georg Wilhelm Steller is part natural history, part adventure yarn and part experimental narrative. Bak will preview new work from WILD MAN Volume Two: Sea of Time. T. Edward Bak's stories have been featured in High Country News, and the critically-acclaimed anthologies The Best American Comics, MOME, and Drawn & Quarterly Showcase. He usually resides in Oregon. Creator of the fantastic time travel webcomic Time Fiddler. He is an Alameda-based illustrator who loves well crafted interactive narratives, believable characters, and clarity in visual conveyance. Ellis will lead participants in an informative and entertaining workshop introducing them to (web)comics creation. 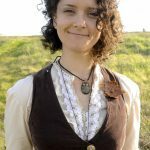 Join Ellis Kim, creator of the fantastic time travel webcomic Time Fiddler, Spencer Bingham, maker of the fantasy webcomic Homebound, and Maia Kobabe, celebrated for eir comic adaptation of the medieval ballad poem Tom O'Bedlam. Ellis is an Alameda-based illustrator who loves well crafted interactive narratives, believable characters, and clarity in visual conveyance. Spencer is an (almost) lifelong resident of the Bay Area who studied character animation at the Academy of Art University. Homebound was originally slated as a stop-motion short before it evolved into a webcomic. Maia's Tom o’Bedlam was accepted into the Society of Illustrator's Comic and Cartoon Art annual and nominated for an Ignatz Award in 2016. Ellis, Spencer, and Maia will discuss their series, inspiration, and how they got started, followed by a question and answer session. 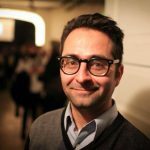 This panel will be moderated by Andrew Farago. 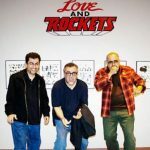 Known as Los Bros Hernandez, Gilbert, Jaime, and Mario Hernandez are the three American cartoonist brothers famous for creating Love and Rockets. Love and Rockets was one of the first in the alternative comics movement of the 1980s and is one of the best and longest-running underground comic books of all time. Moving from a fictional Mexican village of Palomar and a wide-cast of friends in Los Angeles, Love and Rockets is known for its realistic portrayal of the passing of time with characters that age, evolve, and develop from teenagers to adults. Also, if you can’t make it to this program, we’ll be live-streaming the event on the San Mateo County Libraries Facebook pageopens a new window. Born in Vietnam three months before the end of the Vietnam War and came to the U.S. as one of the refugees of the Seventies. In what Pulitzer Prize–winning novelist Viet Thanh Nguyen calls “a book to break your heart and heal it,” The Best We Could Do brings to life Thi Bui’s journey of understanding, and provides inspiration to all of those who search for a better future while longing for a simpler past. 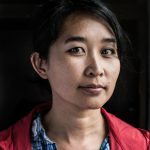 Join us and delve into this intimate portrayal of Thi’s family’s journey from war-torn Vietnam and the difficulties they faced building new lives for themselves. 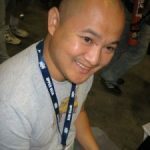 Illustrator best known for his work on creator-owned comic book series like The Fuse, Stumptown, Stringers, Wasteland and Resurrection. Born and raised in the Bay Area, he attended the Academy of Art University in San Francisco, CA and graduated with a BFA in Traditional Illustration. As a freelance artist he has worked for many companies, including Image Comics, Oni Press, and Ten Speed Press / Penguin Random House. Justin will discuss his career in comics and share his knowledge in an interactive workshop for teens. 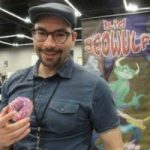 Creator and cartoonist of the graphic novel adventure series, Kid Beowulf. Inspired by the epic poem BEOWULF, Kid Beowulf follows the adventures of 12-year-old twin brothers Beowulf and Grendel as they travel to distant lands and meet fellow epic heroes therein. It is a fun, action-adventure series that introduces young readers to the great epics of old and inspires them to read the originals. Alexis will be visiting local Bay Area schools for a fun-filled author talk. A cartoonist and illustrator currently based in Los Angeles. She is a co-founder and organizer for Comic Arts LA, a Los Angeles based comics festival. Jen has worked with a wide range of publishers, from Penguin Random House, Vertigo (DC Comics), BOOM! Studios, to Tor.com. Jen’s graphic novels are Koko Be Good and In Real Life, based off of Cory Doctorow’s For the Win. 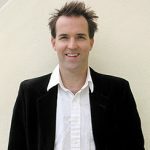 Author of the #1 New York Times bestselling Amulet graphic novel series for children, the webcomic Copper, and the action-packed series Daisy Kutter. 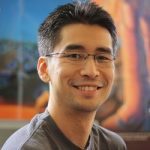 Kazu is also the founder and editor of the Flight Anthologies. Amulet is a layered fantasy adventure with a legion of characters, an epic fantasy and science fiction quest, and gorgeously elaborate and detailed worlds. A book selling and signing opportunity will follow Kazu’s author talk. Writer for The Stratford Zoo graphic novel series, as well as the picture books Saturday and An Undone Fairy Tale. The Stratford Zoo is a normal zoo until after hours, when the animals come out of their cages to stage elaborate performances of William Shakespeare’s greatest works. Ian will be visiting local schools to share his love of Shakespeare and how to create a graphic novel from first notes, to edits, to the artist’s thumbnail sketches and then final product. 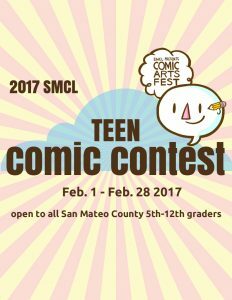 2017 SMCL Teen Comic Contest poster. 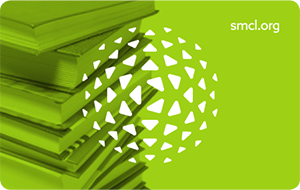 Submit your comic or graphic novel by February 28 for a chance to win a Copic Sketch Marker Set or comiXologyopens a new window annual subscription! Come see how animation can help us understand our world better at Animation Edification. We will present a curated series of animated shorts on subjects such as the rise of humans and how to survive in a free-falling elevator. Think comics are just for kids? Think again! Comics and graphic novels cover everything, from global events to memoirs and political action plans. Come join us to learn about the many ways this genre can defy your expectations. Join us for some great hands-on cartoon workshops run by artists from the San Francisco based Cartoon Art Museum! They’ll be offering cartooning how-to lessons for artists of all ages.